Johnny Johnson is 95 years old and one of very few men who can recall first-hand the most daring and ingenious air raid of all time. 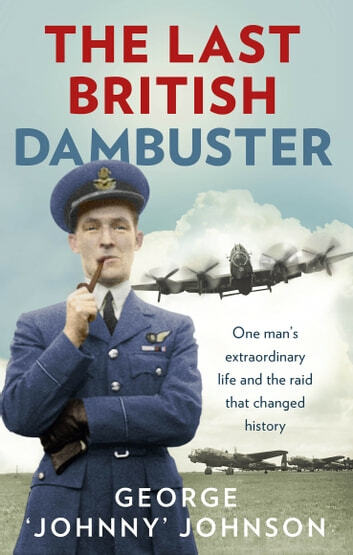 He can also vividly remember his childhood spent working on a farm with his controlling father, the series of events that led him to the RAF and the rigorous training that followed. 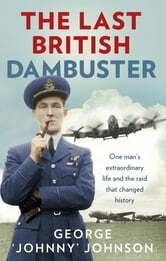 But it was his decision to join 617 Squadron, and the consequences, that have truly stayed etched in his mind. On 16 May 1943, Johnny, alongside 132 specially selected comrades, took off from Scampton airbase in Lincolnshire. For six weeks they had been trained to fulfil one mission that was near impossible: to destroy three dams deep within Germany’s Ruhr Valley. It was a daring task but, against the odds, Johnny and his crew survived. Sadly, 53 comrades did not. For the first time, Johnny relives every moment of that fatal night – and the devastating aftermath. He recalls with unique wit and insight the difficult training conducted in secrecy, the race against time to release the bombs, and the sheer strength and bravery shown by a small unit faced with great adversity and uncertainty. Embodying a whole squadron, and leaving a lasting legacy for generations to come, Johnny’s story is like no other.